Open the www.rscds-sf.org web site. 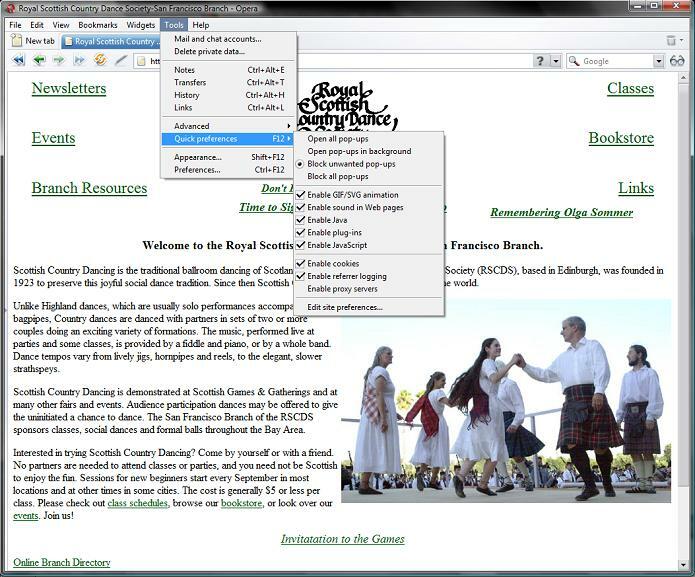 In the Tools Menu, select Quick Preferences and then Edit Site Preferences from the sub-menu. 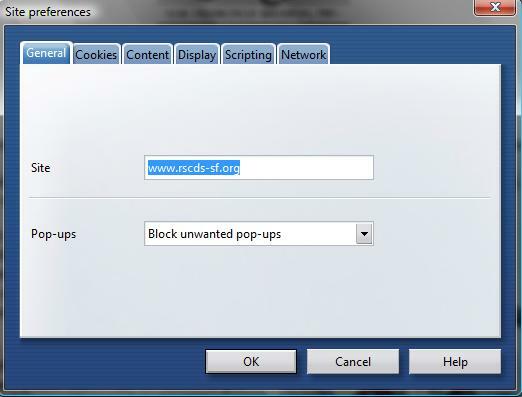 Select Open All Pop-ups from the Dorpdown box and click the OK button.